To succeed in your industry, you need constant access to the information that puts you in control of every aspect of your business. You need to know when you are on budget, where you are getting the best margins, who’s performing – and who’s not – and where your cashflow is at any time. Built specifically for the needs of the contracting and building industry, and associated trades, CostCon delivers a new level of management and oversight to the sector. 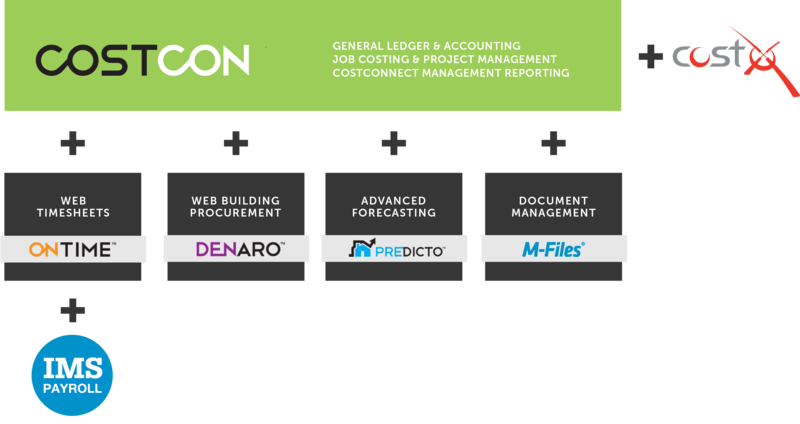 Used by leaders in the building and civil contracting industries, CostCon helps businesses to manage a full range of essential tasks, including project costing, contract work, performance management and accounting. CostCon is built from the ground to up to track retentions, issue claims, manage subbie payment schedules and maximise return on VOs. With a growing customer base across the sector, from residential and commercial building to civil contracting, sub-contractors and manufacturers, CostCon products are designed with your business in mind. Providing genuine, measurable productivity gains, coupled with better information and streamlined reporting, CostCon gives you the freedom and the knowledge to focus on building your business.